Did negligent security contribute to this apartment parking lot shooting? Read Our Legal Take to find out if the victim may have a claim for compensation. 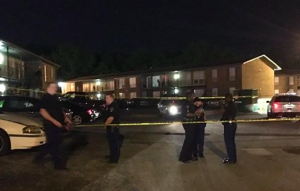 A Birmingham man was reportedly shot and injured during a robbery at the Springville Landing Apartments Tuesday night, May 10, 2016. The assailant apparently opened fire during the course of the robbery, striking the victim in the shoulder before fleeing the scene. The victim’s current condition has not been released. Police are still searching for the gunman, presumably leaving residents once again concerned for their safety. News reports suggest the property was tied to gun-related violence occurring in August 2015 and November 2015. Apartment residents and guests have a right to feel safe and secure within the community. Given the alleged history of violence associated with the property, The Murray Law Firm questions the level of security provided at the apartment complex and whether this unconscionable attack may have been prevented. Were any additional security precautions implemented by the property owner to deter crime, following recent reports of gun-related activity?